Fancy a little more luxury? 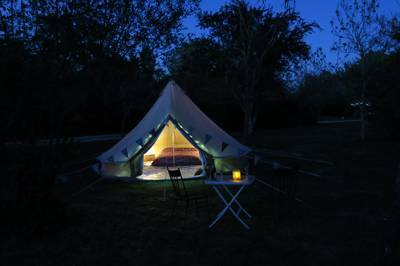 Our lovely 5 m Bell Tent is wonderfully roomy and just a little bit romantic. It is ideal for couples but we are happy to add beds for children if you fancy a family glamping experience. We think we’ve included everything but if you have any specific requests please just ask….. It was almost a decade ago that Cool Camping first pulled into the gravel drive leading to Le Poteau Campsite. Situated on the edge of the sleepy village of Castelnau d’Auzan, this charming spot lies in the heart of Gers’ bountiful wine- and Armagnac-producing départment. Hidden among the corrugated corduroy of vineyards, the campsite’s immediate appeal made it a shoo-in for our very first guidebook to France. It also made it a firm favourite with Scottish couple Alasdair and Fiona Downes, who visited the site in 2015 and promptly decided there was nowhere else they’d rather be. Today they’ve packed up the tent and live in the small house across the driveway, tending to all the new arrivals in what is now their garden. The campsite itself, though kept to a manageable 20 or so pitches, sprawls out to offer ample space. There’s an assortment of shrubbery, small trees and bushes to obscure your tent from your neighbours, whilst across the driveway, a covered dining area and a cute terrace bar are there to be sociable in. Alasdair was a chef in his former years and cooks up a mean four-course meal a couple of days a week, enjoyed in the shaded setting of the orchard. Glance at a menu board on other days of the week, and you can pre-order some of his traditional French food to take away instead. The church spire of pretty Castelnau d’Auzan peeps above the surroundings. The village is a short walk away and has its own little tourist office and a few bar-restaurants. You get a real taste for agricultural France as you pass tractors chugging along roads lined with tall trees that have grown from either side of the road and entwined together above you. There are as many of these tree tunnels as there are vineyards around these parts and they seem to echo the rustic, picture-perfect atmosphere of the settlements. Montreal-du-Gers, Fources and Larressingle are all designated plus beaux villages and can be easily reached by bike. 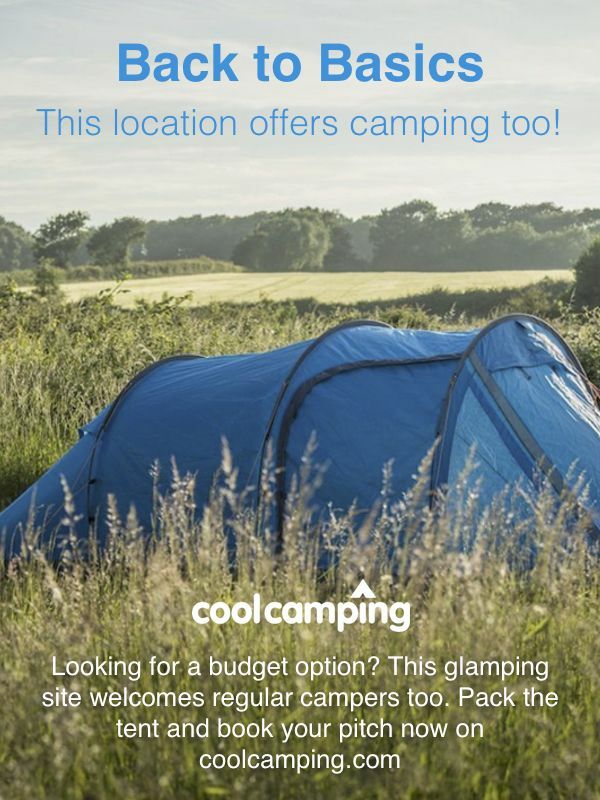 Or you can simply stay put in the garden-like setting of this plus beaux campsite. Long may its years of secluded success continue.